The Phillips Sonicare FlexCare - A Dentist's Review! How Does the Phillips Sonicare FlexCare stack up? The Platinum model is the current top-of-the-line toothbrush in the Philips Sonicare range, except for the DiamondClean Smart. It's the most recent addition to the Sonicare FlexCare range. The Phillips Sonicare FlexCare "Whitening Edition" has been discontinued, but is still available from retailers like Amazon until stocks are sold out. This new FlexCare Platinum brush comes with an ultra-violet Sanitizer, (in the "connected version") built into the charging base station. It also comes with 2 brush heads, one "AdaptiveClean" head, and one InterCare head, although this varies depending on the exact version of the Platinum you get. "Clean" - this is the normal Full Power setting. "White" - this is a reduced power setting for people with sensitive gums or teeth. "Deep Clean" - this is an even lower power setting, for a gentle massage of the gums! Just to confuse the issue further, there is a choice of THREE intensity settings! Just click on this link to get YOUR FlexCare Platinum from Amazon! It's actually a lot simpler than it looks! This new Sonicare FlexCare can use either DiamondClean brush heads or the new AdaptiveClean brush head. You can read more about the correct replacement brush heads at the Sonicare Replacement Brushes page. On a positive note, the Sonicare FlexCare handles are about 20% smaller and lighter than the standard Sonicare brushes, and also have less than half the vibration and noise! Standard features include Easy Start, (which starts off on a low power setting, and gradually increases the power over each of the next 14 uses, to introduce new Sonicare users gradually to the "Buzz"), the 2 minute SmartTimer, and the QuadPacer interval indicator. They also come with a multi-voltage compact travel charger. Sometimes, it's hard to keep up with all the options that the various Sonicare brushes offer; and then Phillips also change certain features without notice! What's my opinion? I think some people (like me!) may get a little confused by all the options. Overall, this brush is great, due to the smaller size and weight than the other standard (and cheaper) Sonicare brushes. I can't really pick which one is "best", between the FlexCare Platinum and the top-of-the-range DiamondClean, because they can both clean your teeth as well as the other. The difference is really in the packaging. My recommendation for both versions of sonic care toothbrush would be to just use the "Clean" setting, on the Medium Intensity setting, and go for 6 to 8 minutes of gentle brushing around ALL the gum edges. I think that 2 minutes as indicated by the SmartTimer is a little short. Also, if you are not using this sonic care toothbrush on the normal "Clean" setting, you are not using the full power of the brush, and are not really getting the full benefits of the patented Sonicare technology. While it is perfectly OK to use one of the lower power settings from time to time, I feel that 90% of your brushing should be on full power! Otherwise, I think that the Phillips Sonicare FlexCare Platinum is a great electric toothbrush! If you're interested in the ultimate electric toothbrush from Phillips, look at my review of the Sonicare DiamondClean Smart at the Phillips Sonicare toothbrush page. You may also be interested in the Sonicare replacement brushes page. MY FAVORITE TOOTHBRUSH? 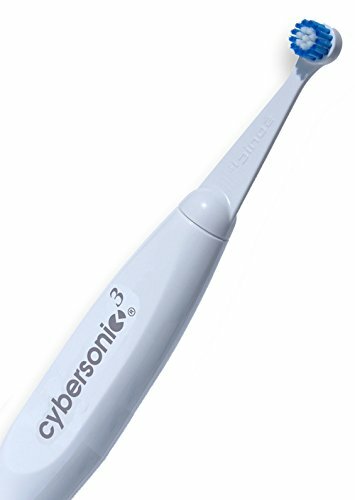 If you're looking for an alternative sonic toothbrush, AT A GREAT PRICE - I recommend the Cybersonic 3 - GET MY TOP-RATED BRUSH, THE CYBERSONIC 3 HERE. If you use my special DISCOUNT CODE you can get the Cybersonic3 at around HALF PRICE.